Community Services’ programs for those whose life circumstances make them especially vulnerable is what drew Sue Anne to do everything she can to give everyone an equitable life on the Sunshine Coast. Sue Anne’s career in advertising and marketing spanned thirty-five years in Vancouver. As VP for Palmer Jarvis Advertising, Sue Anne led the account, media, and creative teams responsible for ICBC’s Road Sense and Richmond Savings Credit Union (now Coast Capital) for over ten years. She completed her career as Director Marketing for SFU’s Business faculty. She retired in 2009, and moved to the Sunshine Coast in 2010. Sue Anne also serves as a Director on the Sunshine Coast Credit Union Board, and in her spare time, cannot be found as she explores the waters of BC with her partner, Hugh Willson, dog Bravo, and Miss Bee the cat. Contributing to the fabric of the community is a key focus for Jason Winkler. The Community Services mission and values align with his personal interests and, most importantly, with the evolving needs of the Sunshine Coast. He joined the Board in 2017. Jason brings over 25 years of experience in organization transformation and human resource management in North America, Asia and the Middle East. His early career in consulting focused on leadership development with high technology and federal government clients in Ottawa. He joined Deloitte (Consulting) in 1992 where he progressed to Partner leading client engagements as well as managing the Western Canadian and BC Consulting practices during both economic downturns and periods of significant growth. His clients included BC Government Ministries, crown corporations, as well as other public sector entities in Canada and the US. For five years prior to retiring, Jason led all human resource functions at Deloitte Canada (over 11,000 employees) with a national team of 200 people. Richard is a graduate of UBC with a BCom in economics. After University worked for the National Energy Board in the Economics Branch in Ottawa. He became a Chartered Accountant working for an international accounting firm, then opened a private accounting practice specializing in small business and medical practices. He acted as Director of Finance for BC Biomedical Laboratories Ltd and Dr. C J Coady Associates. Richard moved to the Sunshine Coast in 2007 settling in Roberts Creek. 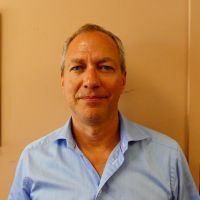 Richard has served on the Boards of St. John Ambulance and the West Vancouver Soccer Association. His volunteer activities on the Sunshine Coast have included Habitat for Humanity, Sunshine Coast Film Society and as an installer for Lifeline. Community Services plays an active role in making lives better and our community stronger, both of which are close to Sue Lowell’s heart. A retired engineer with 30 years’ industry experience in Alberta, Sue focused the last part of her career on regulatory affairs, stakeholder relations and sustainability. Sue and her husband Brad moved to the Sunshine Coast in 2010. In both Alberta and BC, Sue has devoted time and her skills as an active volunteer with Vancouver Coastal Health. When not busy with her volunteer activities, Sue can be found hiking, quilting, knitting, sailing, traveling and enjoying the Sunshine Coast. Penny retired in 2011 from a career in the public service in both Newfoundland and British Columbia. 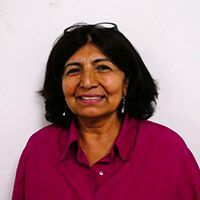 Trained in the health sciences, she spent 28 years working for Health Canada with First Nations communities throughout BC as director of programs including maternal and child health, children and youth, fetal alcohol spectrum disorder, and nutrition. She was also involved in the transition of Programs from Health Canada to the BC First Nations Health Authority. She was introduced to the Sunshine Coast through that work, and made the wise decision to move to Sechelt. Since retirement, Penny has been active in the Sunshine Coast Spinners and Weavers Guild including a term as President. She also regularly spends time on Granville Island as a working member of the Fibre Arts. Raj Gill is the Director of Prosperity Circles Coaching International and now lives in Sechelt with her husband. Raj enjoys designing collaborative processes for coaching individuals, groups and families by setting up systems that facilitate personal growth and vision. She is a lifelong learner. Prior to coaching she spent over 30 years in Health care in positions of management and education. Rosemarie started her working career as a professor of French Literature at UBC and subsequently taught at York University in Toronto. After her husband obtained a position at Laurentian University and they moved with their 2 sons to Sudbury, Rosemarie became involved in volunteer work with non-profit organizations and decided on a career change. She obtained a Masters of Business Administration from the University of Toronto and went to work in the non-profit sector. Her first position after obtaining her MBA was as Executive Director of the Sudbury YWCA whose central program was Genevra House, a shelter for abused women. With the help of the Board, she applied for and obtained funding for 2 child care workers for Genevra House as well as for the construction and operation of an apartment building to serve as second stage housing. Rosemarie also worked as District Manager for the Office of the Ontario Ombudsman; as assistant to the VP Academic at Laurentian University, assisting in the development of the first collective agreement with the Faculty Association and with the handling of grievances; and as Senior Health Planner for the District Health Council with specific responsibility for primary health care. 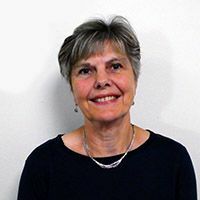 As a volunteer, Rosemarie served on several Boards and was a member of the Sudbury Roundtable on Health and the Environment, an organization that was part of the Healthy Communities movement which concerned itself with working on all the determinants of health. Rosemarie is looking forward to contributing to the very important work that the SCCSS is doing in the community. Jan and her husband, Peter, bought a home in Gibsons just over three years ago, but have only recently become full time ‘coasters’ following Jan’s recent retirement in June, 2018. 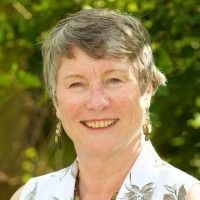 Jan has been an educator and administrator, teaching in schools in the UK, Quebec, Ontario and British Columbia. Her passion is for literature and for education as a pathway to new opportunities and possibilities for individuals. She holds a BA in English & German Literature, a Certificate in Teaching English as a Second Language, and a Master’s degree in Educational Administration. She also served for five years as an officer in the Women’s Royal Naval Service before immigrating to Canada with her family in the fall of 1987. Jan recently completed six years as a board member and vice-chair of the Semiahmoo House Society (now UNITI) in Surrey, BC and it was this very positive experience in working with a volunteer organization, supporting people with developmental disabilities; that has motivated her to continue to give her time to a community services based organization.